KIEV, Ukraine -- Ukraine's new governing coalition in parliament said Tuesday it will pass a law against joining military alliances such as NATO, a move that is sure to please Russia while tilting Ukraine away from its previous pro-Western course. In a statement of purpose published Tuesday in the parliament's official newspaper, the coalition supporting President Viktor Yanukovych said new legislation will "enshrine Ukraine's nonaligned status in law." Such a move would kill one of the key initiatives of Yanukovych's predecessor, the staunchly pro-Western Viktor Yushchenko, who had struggled to gain admission to NATO since he was vaulted to power by the Orange Revolution protests of 2004. Although Yushchenko's NATO ambitions never gained broad public support, they managed to infuriate Russia — which recently published a military doctrine naming the alliance's possible eastward expansion as the country's top external threat. Moscow's effort in recent years to restore its own influence over Ukraine and other former Soviet states got a powerful boost with the election of Yanukovych, who has pledged to cooperate with Russia on key energy and military issues. On Tuesday, Ukraine's opposition had a bristling reaction to the governing coalition's statement. It signed its own formal agreement to work together against Yanukovych and his supporters in parliament. "Today we are forming a union of opposition parties," said opposition leader Yulia Tymoshenko, who lost to Yanukovych in the hard-fought presidential race last month. "It will allow us to coordinate our efforts, giving us the ability to protect Ukraine and its democratic path," Tymoshenko said at a signing ceremony with seven other senior lawmakers who oppose Yanukovych. The new governing coalition behind Yanukovych was formed last week in parliament, and quickly moved to appoint a prime minister loyal to him, Mykola Azarov. The statement of purpose from the coalition made no mention of the European Union, which Ukraine had also sought to join under Yushchenko's presidency, but also without success. "Essentially, it is additional evidence of the intention to change the strategic course of Ukraine," said Hryhoriy Nemyria, the deputy head of Tymoshenko's fraction in parliament. "It is incompatible with the aims to modernize Ukraine's economy and society," he said in a statement Tuesday. Analysts also criticized the new statement of purpose, saying it would play too much into the Kremlin's hands. "This is what Russia has been waiting for," said Vadim Karasyov, head of the Global Strategies Institute, a think tank in Kiev. "But this is a dead end. A country in Ukraine's position cannot remain unaligned." As part of its effort to assert influence over the post-Soviet sphere, Russia has been promoting the Cooperation and Security Treaty Organization, or CSTO, which is seen as its answer to NATO. Analysts have said Yanukovych could be pressured to join the Russia-dominated bloc, but the statement published Tuesday appears to apply to all military alliances, including the CSTO. 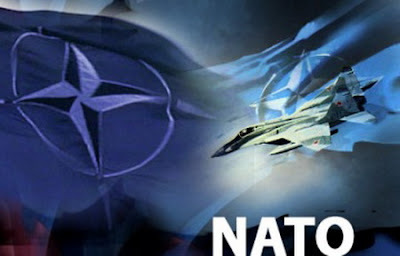 abolishing any possibility of joining NATO is a ----MAJOR-MAJOR mistake and could have extremely serious consequences. I understand many Ukranians are not enthusaed about NATO but their lack of enthusiasm is clouded by unfounded conclusions about the effectiveness of this international organization in eastern and east central Europe. Yes..NATO must cointinually be updated and from a reporter who covers NATO often I know the pros and cons. sure on many agreements and Russia although not a member for long standing reasons almost always aattends the NATO SUMMIT conferences and talks. The C S T O for eastern EUROPE may be good but at the end of the day east European cocuntries may be making a mistake by relinquishing too much power of versight to RUSSIA. As stated Russia is a great country and deserves the respect it has earned but part of that respect does come from some unprovoked hosstile acts for political and geo political reasons. Ukraine had live ICBM missles aimed at them from Russia just because Ukraine was considsering NATO membership. I mean really had those missles been aimed at France or Germeny you never would have heard the end of it and perhaps the real problem is that many western European countries dodn't care enough about the security and safety of Ukraine and other East European countries who are right next door to RUSSIA. ..And after Georgia was attacked the European leaders such as France and Germany just slapped RUSSIA on the wrists and told them that it is not nice to attack countries like Georgia. Just ask the good people in Georgia how they feel about Russia having too much military control in the region....was not a good four days or so back in 2008 BUT it did happen. Just ask intelligent Ukranians what it is like for the Ukraine to be threatened by live ICBM missles from Russia just because they wanted to be a member of NATO.! comprtomising their countrys integrity and not allowing the door to NATO open means the door is closed and with ever changing events in eastern and central Europe and a planned missle system and the START TREATY which needs to be ratified by the U.S and Russia, it is time b e be vey OPOEN MINDED. I would like my own country the U.S.to work with Russia more and I believe now is one of the best times in history to negotiate with Russia for all parties concerned and all avenues for peace by having defense mechanisms is a very prudent way to go--not to shut down doors. so more diplomacy and a balance of military power is needed just in case something goes wrong. As for the Ukraine, when they had applied for NATO membership was it not France and Germany who turned them down..
Now, if I recall correcly was it not Germany who tried to take over the worlde a couple times...Really and they should not have any control on the destiny of Ukraine..Ukraine should and the ' so called" Ukraine leadership should buckle up and tell Germany and France to back off..They are lucky to still be around from World War Two-- Russia and the U.S. helped saved their existence along with Ukraine or do these countries have a short memory.....They do not own Europe and do not control Ukraine. Only Ukraine does if it has the guts to allow itself to..
RESPECTFULLY WES RODGERS PATRIOTSTV.COM and former reporter and resident in Ukraine. !